MOTIF features a collection of wedding vendors that share our classic and elegant aesthetic and commitment to quality. As a publication of The Boutique Bridal Show, our focus is on vendors and brides—and finding the best way to marry the two together. The Boutique Bridal Show magazine MOTIF and its advertising partners will create a strong presence together. The majority of our ads will be custom-created campaigns exclusive to MOTIF magazine. While we do not mind an advertiser submitting their own ad, we encourage the client to let us collaborate on a unique message that coincides with the particular tone of the magazine. We want to help you put your best face forward to hundreds of potential clients! We strongly believe that our readers and advertising partners can only benefit from sharing a common artistic vision. In 2016, almost 4,000 marriage licenses were sold in Lafayette, Vermilion, Iberia, Acadia, St. Martin and St. Landry parishes. Our aim is to reach newly engaged brides by distributing the magazine at select locations and at the upcoming Boutique Bridal Show. Each bride-to-be that attends The Boutique Bridal Show on Sunday, January 20, 2019, will receive the magazine in their goody bag, complete with a comprehensive 2018 vendor list, booth layout and much more to help plan their wedding. Brides at the Boutique Bridal Show on Sunday, January 26, 2020, will receive the magazine in their goody bag, complete with a comprehensive 2020 vendor list. Interested in advertising? E-mail us: [email protected]. Older issues: Read MOTIF Magazine Volume 1 (2018) here. For more information, contact Robin Hebert at The Boutique Bridal Show. Email: [email protected]. 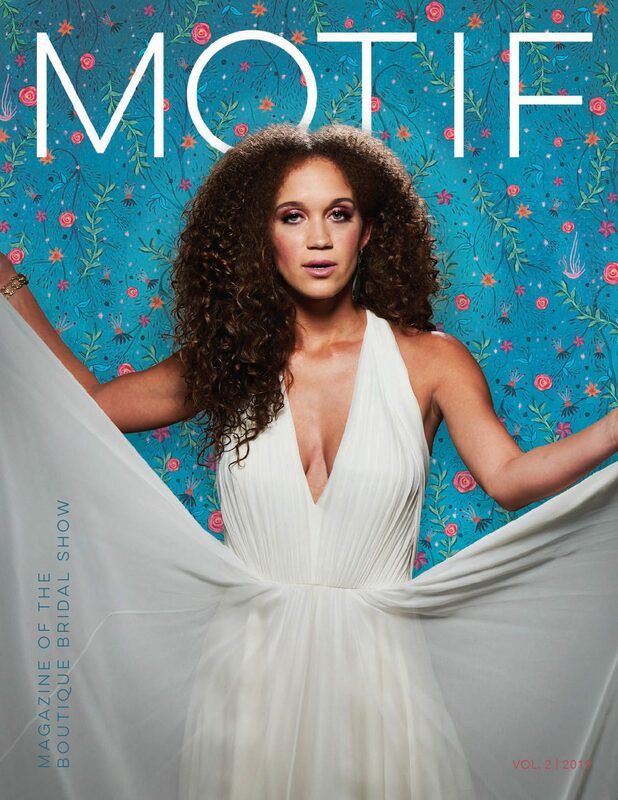 MOTIF will be distributed at select locations, and each bride will receive a copy at The Boutique Bridal Show scheduled for Sunday, January 26, 2020.